Jesus Alegre, 67 years old Moreta Alegre, 65 and son Selman Alegre, 37, all from Sagay, Negros Occidental. They have 7 children. Before their incarceration, they were simple fishermen and did farming in their small land when not fishing. Moreta is illiterate while Jesus could write his name but barely could read and write. They are a family who had been languishing in prison for 7 years. 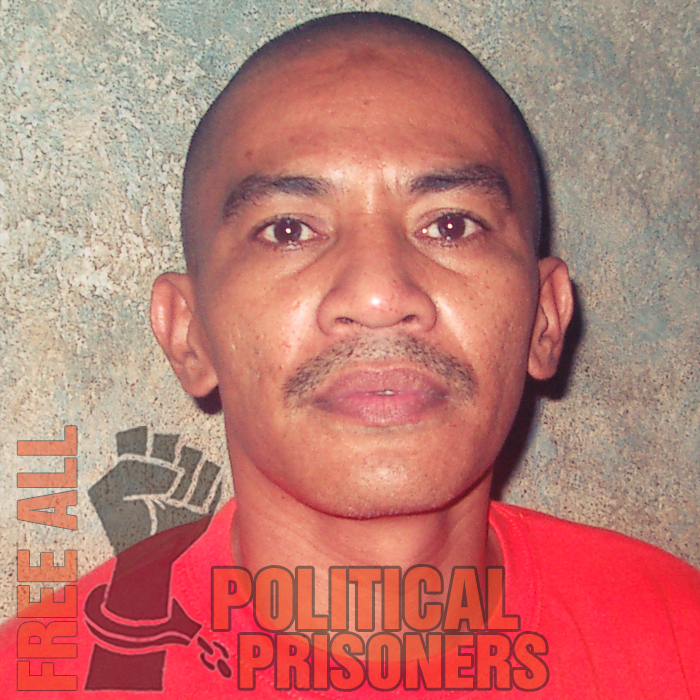 Four years they spent at the Sagay Prison in Negros Occidental and 3 years at the National Bilibid Prison in Multinlupa for Jesus and Selman and at the Correctional Institution for Women for Moreta. 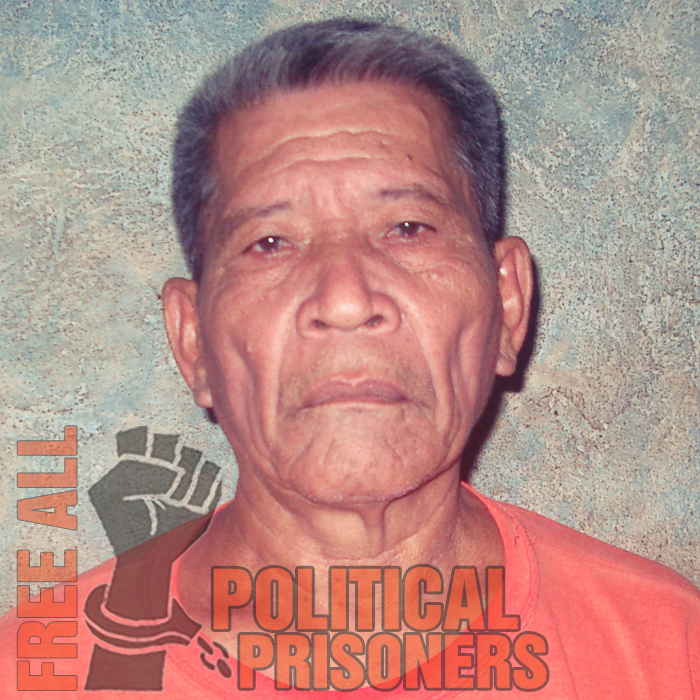 Their imprisonment was caused by a land dispute with a certain Avelino Gaspar, a landlord in their area who started grabbing their land. The area being claimed is supposed to be 15 has. Although the Alegres had only been able to till 1.12 has. Alegre and his family had introduced improvements in said land with 386 hills of coconut trees. This is where they get their meager income by gathering coconut wine (tuba) every day and selling them. From the rest of the trees, they make copras to support his 7 children. When the Alegres found Gaspar was encroaching in the land they were occupying by applying title to DENR, they filed a formal protest to the Bureau of Lands and the dispute taken by PENRO. Because of such protest, Gaspar was marred from getting title for the applied land. This caused the ire of Gaspar but the Alegres fought to stand for the land which caused the death of his son, Romeo Alegre. Despite the death of Romeo and the threats and harassments they got from the landlord, they refused to leave their land. Unfortunately one of the men of Avelino Gaspar, Rogelio Tipon was killed by unidentified person and this was attributed to them. They were accused of murder and later convicted to suffer in jail for life. The main witness to the murder incident was Avelino Gaspar himself and the wife of Tipon being the main complainant of said case. Interesting to note that while the accused was on trial, the main complainant, Mrs. Helena Tipon, wife of the deceased Rogelio Tipon executed Affidavit of Desistance but through the insistence of Gaspar and backed by the NGO he had instigated to support , pushed to continue prosecute the case, thus Tipon’s Affidavit of Desistance was never formally filed and instead diverted the complainant to the People of the Philippines. Actually, beside the 3 convicted, the two sons of Alegre are still at large. Their long years of imprisonment has made them so old and sick. Both are suffering from arthritis, hypertension. Moreta has weak heart and moves so very slowly. Because they are far from their kins, no one of them has come to visit for lack of funds at the same time afraid to come to the city. Their two sons who are supposed to be at large are afraid to come out otherwise all of them would all go to jail.